Meander is a permanent public artwork commissioned for CHS Field, a new ballpark designed by Snow Kreilich Architects in the Lowertown neighborhood of Saint Paul, Minnesota. The artwork consists of fifteen sculptural pillars that creatively re-imagine over two hundred years of historical information about the Mississippi River, which runs several blocks from the site. 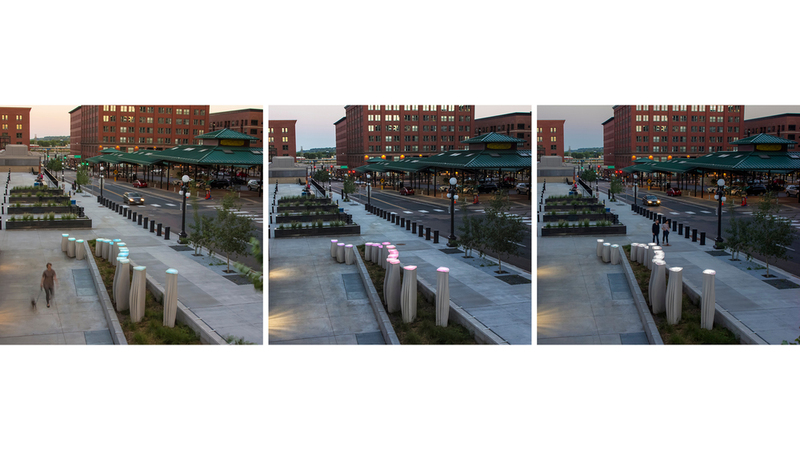 The pillars are fabricated from custom cast glass fiber-reinforced concrete (GFRC) and capped with custom cast glass lanterns that contain programmable LED lights. The project is an exploration in data spatialization: creating new formal and spatial constructions by mining existing data sets. 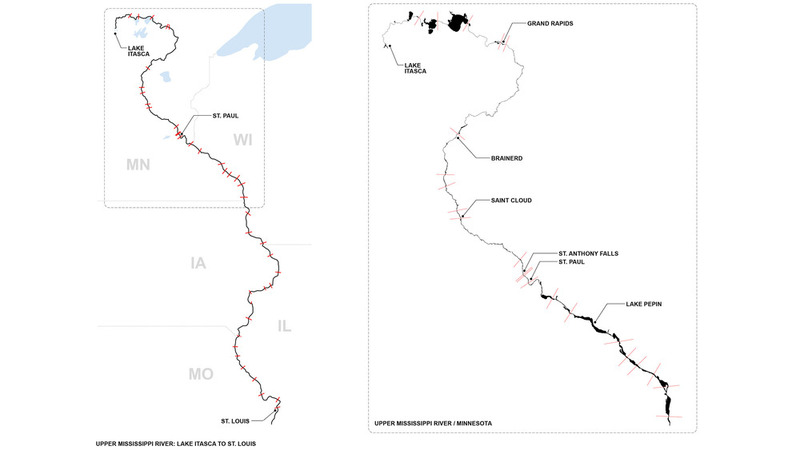 The artwork’s form is a three-dimensional interpretation of layered historical maps of the Mississippi River, from those created by Zebulon Pike and Joseph Nicollet in the early 1800s to contemporary satellite imagery. The curvature of the pillars references the river’s meandering path, and the changing heights of the pillars evoke elevation changes at each of the river’s locks. 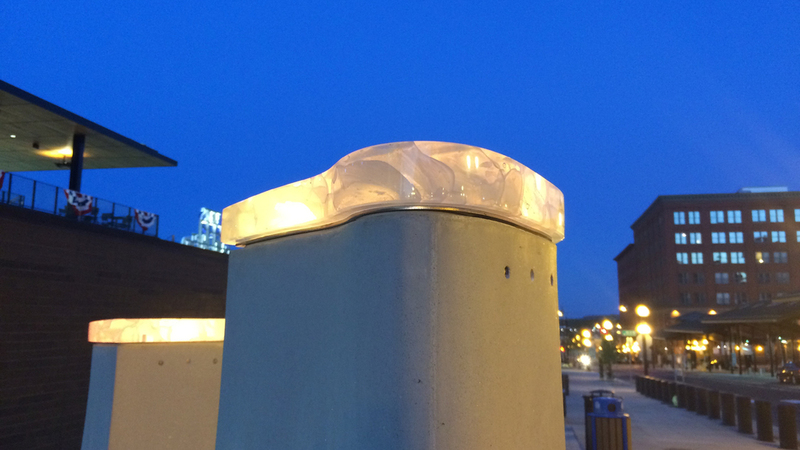 In addition, ecological data remotely collected from the river programmatically controls both the pattern and color of the light projected through the glass lanterns. Meander illustrates how data spatialization processes merge with a commitment to ecology, reimagining public spaces, and fostering new kinds of interactive engagement with public audiences. 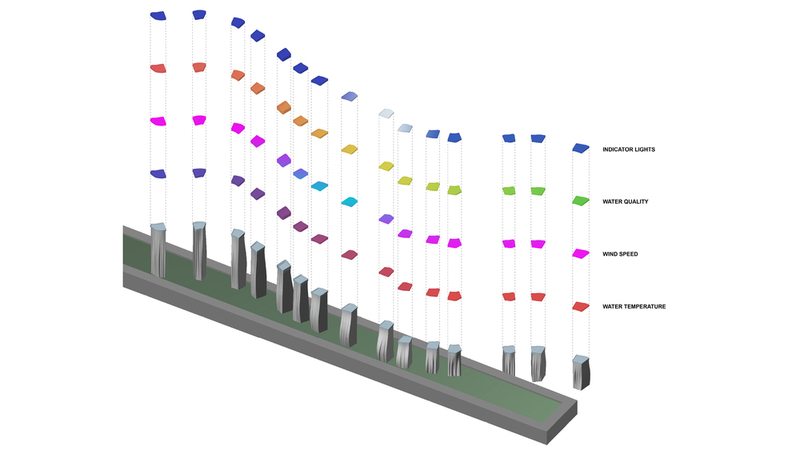 Futures North was initially commissioned to design two options for the public artwork (see Field Condition for the second scheme). In advance of the final selection, we managed an extensive 3-month community engagement campaign to solicit input and feedback from local residents. See the Meander Process Blog on the Futures North website for documentation of the design and fabrication process.